The Lyell and Ramsay Glaciers are the northernmost substantial valley glaciers in the Southern Alps of New Zealand. Their combined run-off is the chief source of the Rakaia River. 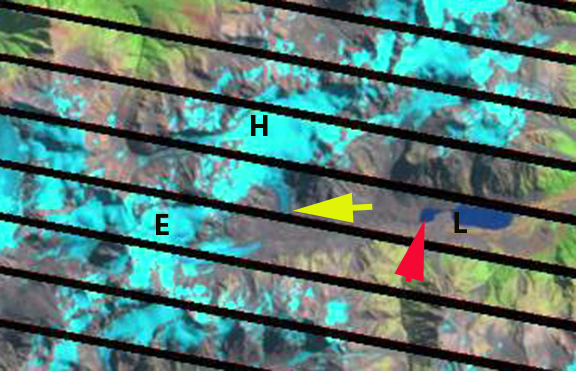 The Lyell glacier was first observed by Dr.von Haast in 1862, from Mein’s Knob (M), at the time the glacier was 9 km long and ended close to Mein’s Knob. 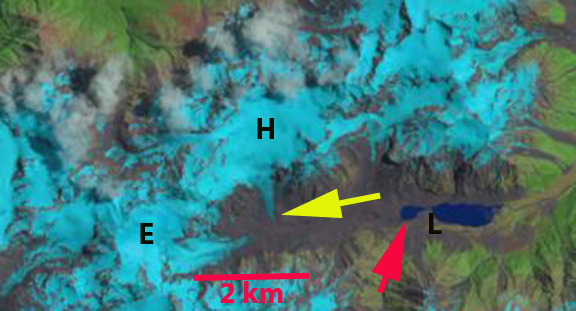 In 1949 Lyell glacier extended east from Rangiata Col some 7 km, and Lyell Lake (L) had not yet formed. (Gage, 1951). 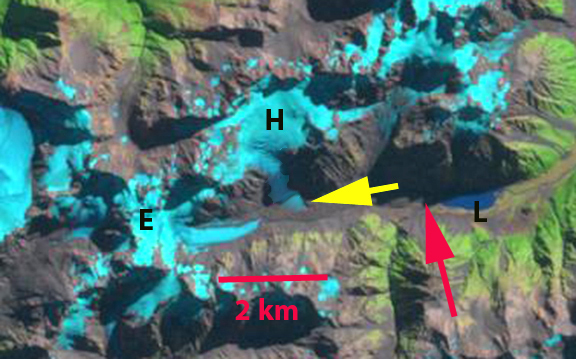 The Lyell Glacier has been the combined flow from the easterly tributary near Rangiata Col (E) and a northern tributary, Heim Plateau (H). 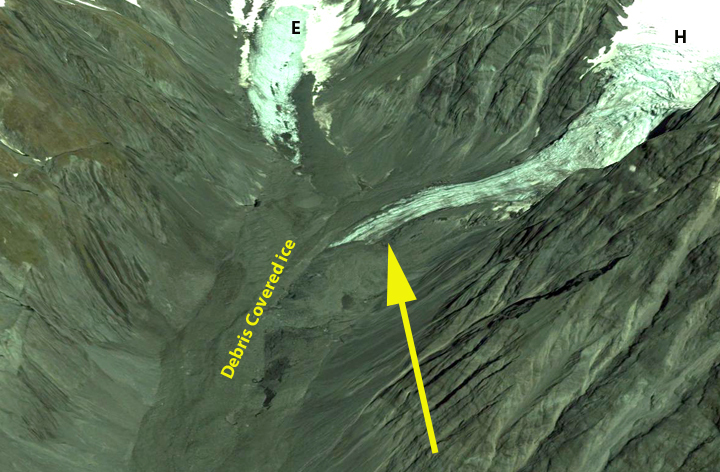 Here we examine Google Earth Imagery and Landsat images from 2000-2013 to identify changes in the Lyell-Heim Glacier complex. 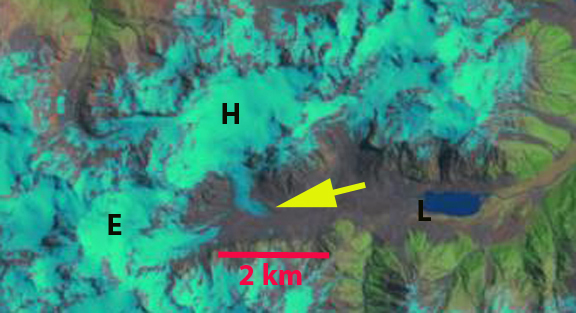 This entry was posted in Glacier Observations and tagged Glacier separation, Heim Glacier retreat, Lyell glacier retreat, New Zealand glacier retreat. Bookmark the permalink.